In case you haven't heard . 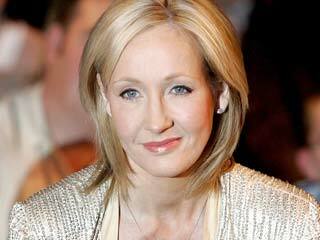 . .
J. K. Rowling's publisher Little, Brown & Co. announced a few details about her upcoming (non-Harry) novel. It is a dark comedy titled The Casual Vacancy and will center on "the fictional English town of Pagford, where darkness lies beneath a peaceful facade." Vague, but intriguing. The book hits shelves on September 27 and will surely spark mass chaos and opinionated reviews in the literary world. Despite Harry Potter's success, many have criticized Rowling's writing style, claiming she can only write for children and an attempt at adult fiction would bomb. This book is (I've heard) her response to those critiques. And personally, I can't wait to read it. I love Harry Potter, but I never thought much of Rowling's actual writing skills. She's just so great with the plot/character/imagination part of it. I really hope she proves everyone wrong though! UPDATE: More information from Little, Brown & Co. Agreed! I certainly don't think J.K. is a Stephanie Meyer by any means; the woman can write, it just depends if the adults are willing to give the "Harry Potter author" a shot at something other than HP. Haha. Well I don't know about that . . . Actually, I guess I still would have read it. But damn, it'd have to be really good to make that work. I've got my fingers crossed for something better though! I will definitely read her new book. Wouldn't it have been nice if Little, Brown and Co had sent us all ARC's! I think she is creative enough to pull off a great adult book. I certainly hope so! Not too much longer now. :) And yes, it would have been AMAZING to get an ARC. I'm sure they're almost non-existant for such an anticipated book!